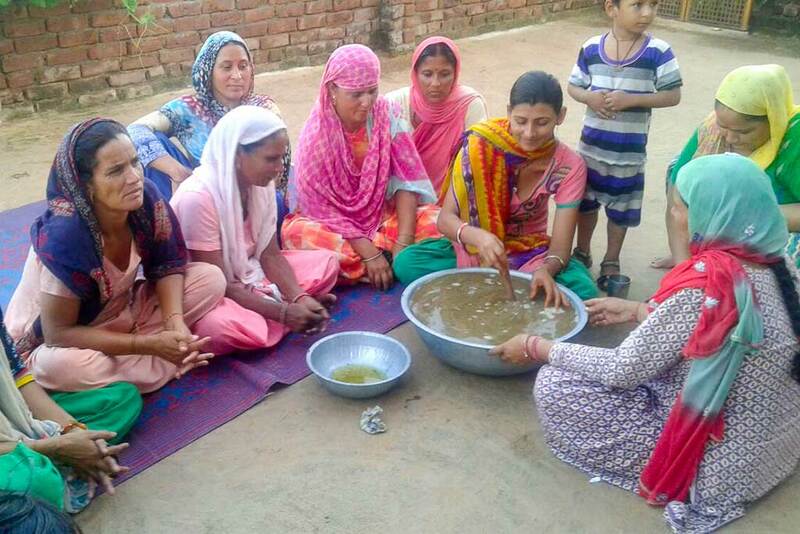 Kitchen Gardeners in Pandori, J&K learn how to make jeevamritam. 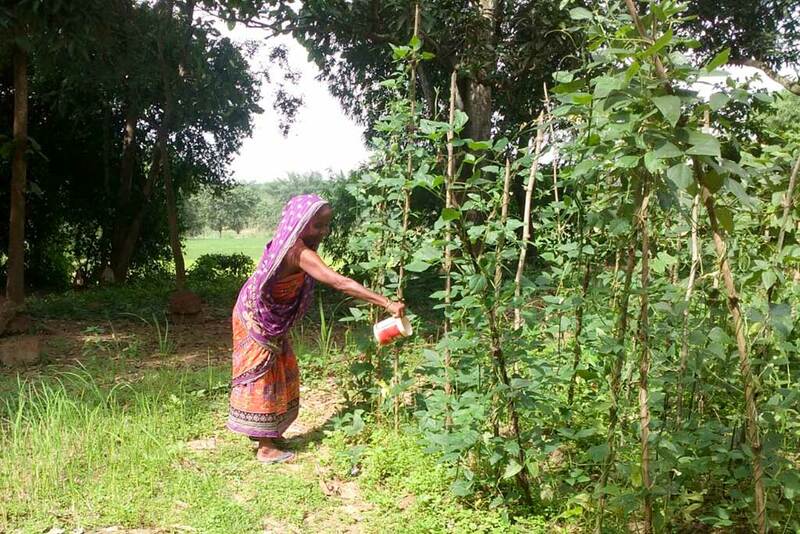 Organic farmers and kitchen gardeners in our villages are learning how to use a fertiliser called jeevamritam. The concoction is a traditional organic mixture from India’s farming systems. Mix these ingredients and add them to 200 litres of water. Keep covered with a jute bag and stir/turn twice daily for 2 days. The fertiliser can be used in a 1:5 ratio for 48 days. Our recipe came from Omana Kuttan, a farmer in Kerala who has been practising organic for the last 10 years. Tending to vegetables with jeevamritam in Guptapada, Odisha.